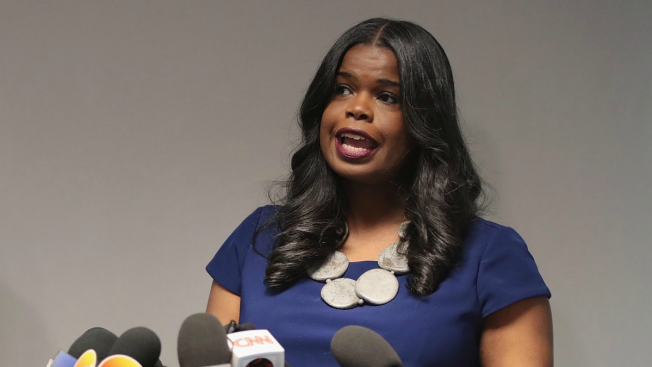 Cook County State's Attorney Kim Foxx has asked county Inspector General Patrick Blanchard to investigate her office's handling of the Jussie Smollett case, she announced Friday. Foxx’s office decided to drop all charges against "Empire" actor Smollett, who was accused of staging his own hate crime. The decision sparked a war of words between city leaders and Smollett’s legal team. "I will tell you, I’m not going anywhere," Foxx told a crowd at the Rainbow PUSH Coalition Saturday. Politicians and faith leaders have previously pushed back on criticism over how Foxx’s office handled the case. "This is the same Kim Foxx who vacated 83 convictions that were wrongfully gained from a corrupt police officer who was planting drugs and guns on others," she recounted. Meanwhile, the Chicago Fraternal Order of Police and suburban police chiefs gave her a no-confidence vote after her office dismissed all charges against Smollett —even though Foxx recused herself from the case. F.O.P. President Kevin Graham says "Ms. Foxx needs to resign and she should do it quickly." While Foxx and her supporters are adamant that special treatment wasn’t given to Smollett, the city is still seeking $130,000 from the actor— to pay for the overtime CPD accumulated to investigate his case. The city of Chicago's Law Department filed a civil complaint Thursday against Smollett under the city's false statements ordinance. Mayor-elect Lori Lightfoot, a former federal prosecutor who will be sworn in as Chicago's mayor on May 20, has also said during a pre-election debate that "the public has to have answers as to why these charges were dismissed." But she hasn't detailed any action she might take as mayor regarding Smollett. The Smollett case and the city's effort to make him pay is unusual, according to several legal experts. "We don’t treat cases differently because of one celebrity, because I can ensure you the people of Cook County state’s attorney doesn’t," Foxx said.